The opening scenes of “The Ballad of Lefty Brown” will no doubt seem familiar and comfortable to any viewer with even the slightest working knowledge of the Western film genre. In them, we see legendary lawman Eddie Johnson (Peter Fonda) dispensing his own brand of justice to yet another outlaw. With him is Lefty Brown (Bill Pullman), his longtime friend and sidekick, and while the 65-year-old Lefty isn’t much good at most things, Eddie is nevertheless loyal to him, even going so far as to considering leaving his ranch in Lefty’s care while he goes off to Washington to serve as the newly elected Senator from the state on Montana. This is a decision that Eddie’s wife (Kathy Baker) does not approve of at all, fearing that Lefty, good-natured as he may be, is not cut out for such a responsibility and will run the entire thing into the ground. Like I said, you have seen this kind of setup before in any number of Westerns populated with larger-than-life heroic types like John Wayne and cantankerous goofballs like Walter Brennan or Gabby Hayes alongside him—but all of that ends just a few minutes into the movie when putative hero Eddie is shot dead and Lefty determines that he will assume the heroic role and bring his friend’s killer to justice, no matter how ill-equipped he may be for that duty. Written and directed by Jared Moshe, who also helmed the 2012 Western “Dead Man’s Burden,” “The Ballad of Lefty Brown” is a solidly entertaining film that starts off as a sort of intriguing commentary on the beloved genre tropes (what would happen, after all, if Gabby Hayes was forced to take center stage instead of remaining in the margins throughout?). As Lefty gradually transforms from sidekick to hero, the movie transforms itself into a straightforward example of the Western genre that hasn’t been seen in a while—exciting, funny, sincere, and beautifully filmed in the great outdoors of Montana on 35mm. Moshe's film is also filled with nifty performances from a supporting cast that also includes Jim Caviezel and Tommy Flanagan as former colleagues of Lefty who want to track him down before he gets into too much trouble and Diego Josef as the young man who eventually steps into the role of Lefty’s own sidekick. Best of all, however, is Bill Pullman, whose performance as Lefty is right up there alongside his work in the cult favorite “Zero Effect” as one of the very best of his entire career. He may be a goof but you can instantly understand what a man like Eddie would see in him and when Lefty is forced by circumstances to finally grow up and assert himself, his transformation is both endearing and absolutely convincing. 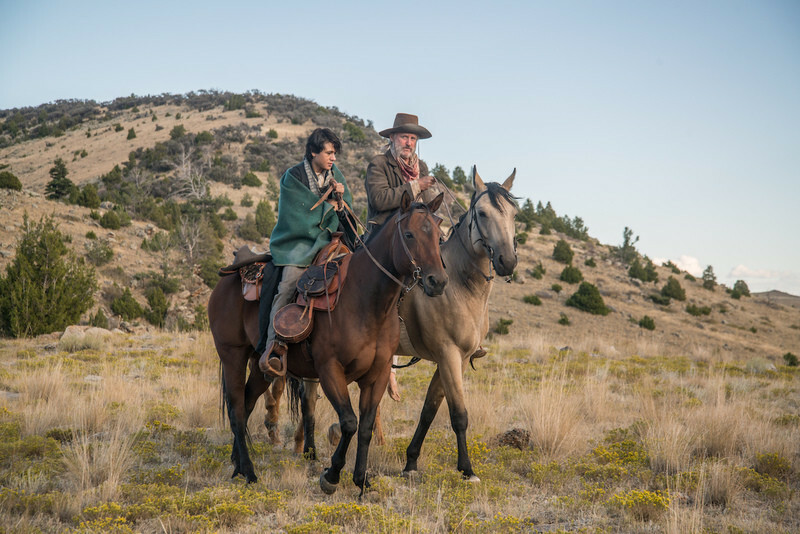 While visiting Chicago in order to present “The Ballad of Lefty Brown,” at the Chicago International Film Festival, Pullman and Moshe sat down with me to talk about the film, playing with genre conventions and the elements that go into making a great Western sidekick. I have noticed that for the most part, Western movies tend to fall under one of two particular approaches. For a long time, you had the classic take in which the stories were told in a straightforward and direct manner—something like “Stagecoach,” for example. In recent years, on the other hand, you have had Westerns that are oftentimes films that are about Westerns and are as much about genre commentary as they are with telling a story—things like the various Westerns by Leone and Peckinpah or “McCabe & Mrs. Miller” or the recent excursions by Quentin Tarantino. One of the fascinating things about “The Ballad of Lefty Brown” is that it manages to embrace both of those approaches. At first, it seems like an example of a revisionist take with the whole conceit of taking the standard grizzled and oftentimes wacky sidekick to the hero and putting him front and center due to unforeseen circumstances. As the movie progresses, however, and Lefty finally grows up and grows into his new position, the film itself shifts from a comment on the genre to a straight-up example of it. JARED MOSHE: I think the straightforward Western tends to sort of embrace the myth of the West while the Westerns that are about Westerns and which are revisionist very much poke holes in that myth and try to rip it apart a little bit on a basic level. What I think is really important about Westerns nowadays is that they are part of our culture and sort of baked into our DNA. You can look at something and think that this was a dark and dirty place that is worth examining our connection to while still embracing our connection to it and realizing that the connection isn’t going away. 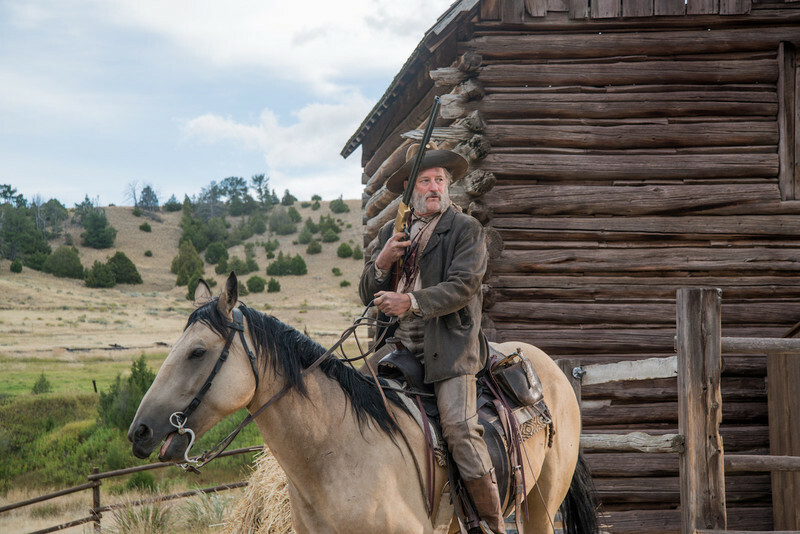 It was like we would take a classical story and embrace the revisionist elements while remaining true to the heart of the elements that make a classic Western into a classic Western that speaks to all of us in that way. Since the film does focus around the archetype of the sidekick to the hero, who are some of your favorite examples of this particular trope? JM: I always think of Walter Brennan in “Rio Bravo.” That character who is literally laughed at the entire time—he nearly shoots Dean Martin’s head off because he changed his clothes and John Wayne is always taking the piss out of him—but at the end of the day, he is the dude who is left with the prisoners and he is the guy who has to do the right thing and who John Wayne relies on as much as anyone else. For me, that is where a lot of this was born—taking the person that we are laughing at while also being the person that the hero relies on above all else and finding the humanity. BILL PULLMAN: I was just thinking about what you were saying about two different types of Westerns. It has been curious to us that some of the strongest responses to the film have come from women. I think it is the same thing with “The Virginian” [a Western that Pullman both starred in and directed]—I am drawn to that side of the genre—but it is an uphill battle because women aren’t supposed to like Westerns. In terms of action and machismo and testosterone and all that, that is one-half of the Westerns that have been made recently. Then there is the sort of salty, wily dog Westerns and then there is ours, which is really about betrayal and those basic elements of trust, the costs of betrayal and whether one can really endure betrayal. These are ideas that are not always found in Westerns. JM: Lefty is, in a lot of ways, a sort of feminine character. He is sort of the work wife to Peter Fonda as opposed to Kathy Baker, who is the wife-wife. In that dynamic, he is allowed to go on these adventures because of his gender that she is never allowed to go on, even though she would probably be really great at them if she was. I think that is one of the reasons that women respond to this film and it is a way of being able to play with the genre. In most Westerns, especially of the classical mode, if there are any female figures at all, they tend to be dutiful wives and/or mothers who have little to do other than to fret and say “Matt, be careful” and then fade into the background. Here, Kathy Baker gets a lot more to do than that. JM: In a lot of ways, she is the foil for his journey. So many of the key points from his journey come from their relationship and they grow together, which I think is really important. How did the two of you, both in terms of writing and performing, go about building the character of Lefty, who starts out, as we have said, as this kind of archetype but eventually grows into a fully developed character in his own right? JM: For me, it was trying to take that sort of stereotypical character and find the real human behind it. I wanted to take that archetype and break it apart and the way to start breaking that apart was by killing his partner, the hero. From there, it was trying to figure out who this person is when the one thing that defined him was taken away. I think I made this decision early on that being a sidekick is actually an easier life because you don’t have to make any responsible choices or have to have any real responsibilities. Suddenly, he loses that and is forced to make decisions and we get to look at how that affects someone who has not had to make decisions for his entire life. For me, that was the sort of heart of where that character came from. You have this person on the page but it was Bill that I wanted for this role because of who he is as an actor and what he is capable of doing. He has the range to be able to be the comedic sidekick and the leading man hero. He was on board for a year before we started shooting this thing and we were working through the details and finding things. I had the character in my head and knew what I wanted but he was finding things that were going to help breathe life into him. It was that collaboration, to me, that really helped. BP: That went all the way through the editing, which was really great. Basically, I am pretty raw in this experience. There is something about this part that was so emotional for me and even when we went to South By Southwest with it for the Q&A, I felt fragile. I have been slammed a few times and I have been in movies that didn’t get a good reception so I didn’t care about that but I did have a fear that Lefty would be rejected. I realized that this was coming from having been inside him and some of that characters inferiority was still with me. “Am I worthy?” “Is it going to play or not?” It was up in the air all the way through. You have appeared in movies in the past that have overtly played with genre conventions, including “The Last Seduction” and the great “Zero Effect.” When you do a film like that in which playing with the conventions is at the forefront, does that require a different approach from you in terms of your preparation and work as an actor than if you were doing a more straightforward film? BP: Well, if you go out on a limb by speaking in a different rhythm or breathing in a different rhythm … To me, Lefty’s whole thing starts with his breath. It is almost like trying to expel air but then trying to kind of hold on to it at the end of a sentence. That kind of thing was important to be and I had some very specific references that I was using for it. I am basically taking a risk, never having been this guy before, and I was really relying on Jared to tell me if it was going well and to keep going. Can you talk about your approach for the visual style of the film, both in terms of the basic look and of the decision to shoot in the glory of 35MM? JM: Shooting in 35MM was really important because you want to be true to that kind of classic cinema tradition. I tend to think that Westerns don’t feel right in digital—I don’t know what it is but there is something about a digital Western that feels a little false and fake to me. It just doesn’t have the dirt and the feel of the grain that a real Western has. I knew I needed to shoot on 35MM. We looked at doing it in anamorphic and in regular 35MM and we didn’t go with anamorphic because it made everything look too baroque. Lefty shouldn’t feel too heroic and we didn’t want to have that kind of curvature to the look that would make him feel grand or larger than life because he isn’t a larger than life character until far into the movie. When my DP, David McFarland, and I talked about what we wanted this movie to feel like, we knew we wanted it to feel both intimate and epic. It had scope and we had the landscape as a sort of larger than life character but it also need to embrace the language of the coming-of-age story with seeing Lefty’s changes and tracking his progression. Every scene was shot keeping that in mind. Were there any particular Westerns that you looked at as models for what you wanted to achieve? You shot the film in Montana in areas where the landscapes, as you said, almost serve as a character but which also leave you at their mercy as a filmmaker—if the weather turns, you don’t really have other alternative places where you can shoot. JM: You have to embrace that. We shot in 20 days, which was a very quick shoot considering the amount of scenes and time that we had. We had to be very sort of fluid, knowing that the weather could change on us, and embrace the fact that we could use that to enlarge the scope of the movie. We had scenes that we could shoot in the rain and scenes that we couldn’t shoot in the rain and we were constantly being decisive. JM: Until the lightning storm at the end. BP: That’s right but every time we needed a vivid look, we would have great weather. Up at the Jackson ranch, we had the vistas and everything. When we were in Bannack, the cottonwoods were this kind of yellow that looked like silver dollars twinkling in there. One of my favorite things visually is that long underwear sequence in that marshland where we are surrounded by gold—it was the strangest little zone. This movie was going to happen in a bunch of different places Jared went to scout these places in Montana and came across Bannack, a place where nothing like that had been done before. All these other towns in New Mexico have been used before and you have seen their main streets. It was like constructing a classic tale and being able to do primary research. The DNA of those buildings was truly authentic and fresh in some way so that the molecules to make a classic were fresh and not repeated. I think that, in some way, was part of what makes it feel like a classic story but the reinvention is from the inside out. We talked earlier about your surprise over female audiences embracing the film. In general, what has the experience of screening the film with audiences been like for you? JM: I think it has been really positive. We showed it at the Zurich Film Festival and the Swiss loved it. BP: It was really wild how it played in Switzerland. I couldn’t believe it. I think they really heard everything in that. They understood the humor to it and they were audible in their response. It is a certain kind of humor—it isn’t a whipcrack comedy and it isn’t meant to have the audience going “Ho Ho.” It is so character connected that once they get to know the character and see him in his reactions, then they feel as if they have an inside seat with his struggle.